MBA Vinyl Laminates are self adhesive vinyl material that can be applied to modular wall panels, cabinets, counters, furniture, doors - just about anything. They come in over 170 styles, colors and textures and can be applied to existing surfaces to refresh and restore areas of retail environments, signage, exhibits, museum walls and more. 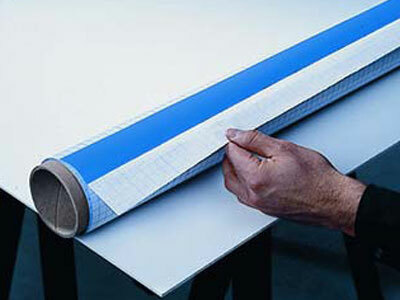 Product comes standard in 40" and 50" widths on an 82-foot roll so the Vinyl Laminates can be installed quickly and easily. The biggest advantage our customers are finding is that MBA Vinyl Laminates are quickly and easily installed and do not require any downtime at their locations. MBA vinyls are also considerably more cost effective than using rigid surfaces and laminates. 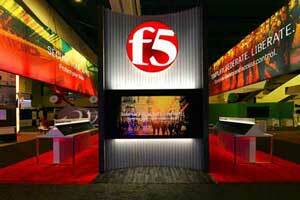 Design your next exhibit, event, or museum gallery using our Vinyl Laminates to help inspire and add to your display. MBA Vinyl Laminates are flexible and durable interior design solutions for retail interiors, renovations, building remodeling, commercial and office space, trade show applications, institutions, signage and more. 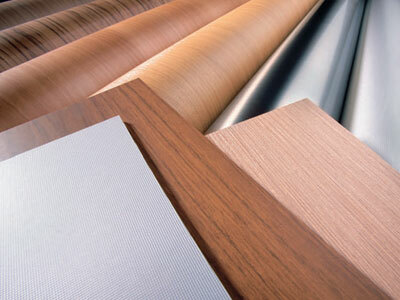 MBA Vinyl Laminates (foils) are produced in over 170 styles, textures and colors including primary colors, structured patterns, wood grains, standard and designer metallics, textiles and more. Quick and easy installation with little to no downtime, no pre-cutting, no routing, no dust or construction debris. You can send an installer into a location with a roll of surface covering and a couple of hand tools to completely renovate a space in a few hours. MBA foils can be produced in custom colors and adhesive strengths. We can also apply custom protective coatings for ultimate flexibility and durability. 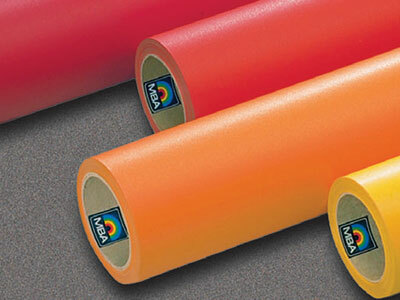 MBA standard rolls are 40” or 50” wide and 82’ long. 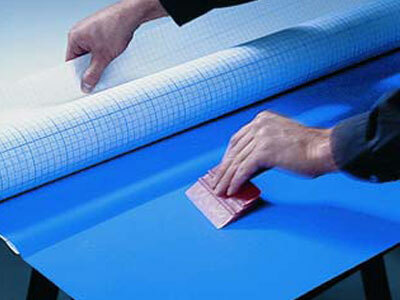 MBA coverings are also produced in various thicknesses to better manage installation techniques. 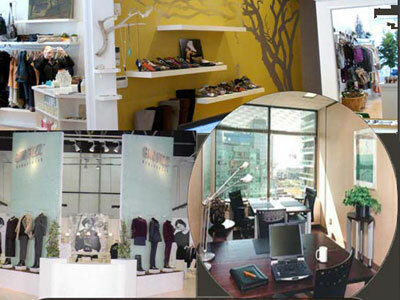 Walls, Ceilings, Doors, Glass, Fixtures, Facades, Merchandise Cases, Office Spaces, Columns. Limitless Applications make MBA the Smart Choice! There are many advantages to using MBA foils over traditional laminates and rigid Vinyl Laminates - most importantly: decreased installation time and increased design flexibility. MBA foils do not require any pre-fabrication or routing which means an installer can go into a site armed with a roll of MBA foil and a few simple cutting tools and permanently transform the interior of your space in just a few hours. With a simple design that utilizes a pressure sensitive peel and place application technique, your installers have more flexibility to measure and cut right on site! You save time and money without sacrificing aesthetics or durability. Not only is MBA vinyl easier to install than laminates, but it is also much more cost effective. You now have the flexibility to make measurements and cuts right on site. An experienced installer can simply go into an area without prior knowledge of the layout and quickly and efficiently transform and revitalize the space. Complex angles, bends, curves and corners are easy to navigate with MBA vinyl Vinyl Laminates. Simply peel and apply for a perfect finish! As a leading exhibit fabricator, ProExhibits has chosen MBA Vinyl Laminates for many of its resurfacing needs. Their Mila-ment self-adhesive Vinyl Laminates offer great flexibility and a real cost savings to us and to our clients. With all the styles, colors, and textures available, ProExhibits can offer a myriad of creative surface applications to our customers. The Mila-ment self-adhesive vinyl is both quick to apply and cost effective when compared to rigid substrates. In an industry that often has very limited production timeline constraints, MBA Vinyl Laminates have helped save the day on more than one occasion. Thank you MBA Design & Display for supplying a product that is easy to apply, offers great flexibility, and helps our bottom-line! 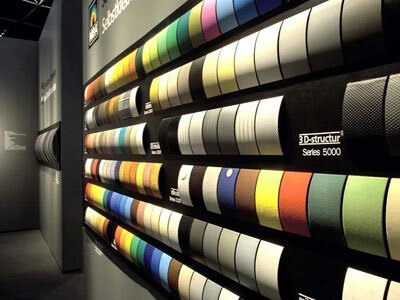 MBA Design & Display Products Corp. is the manufacturer of mila-wall® moveable wall systems, SCENARIO® temporary walls, and over 170+ styles and colors of MBA vinyl Vinyl Laminates.